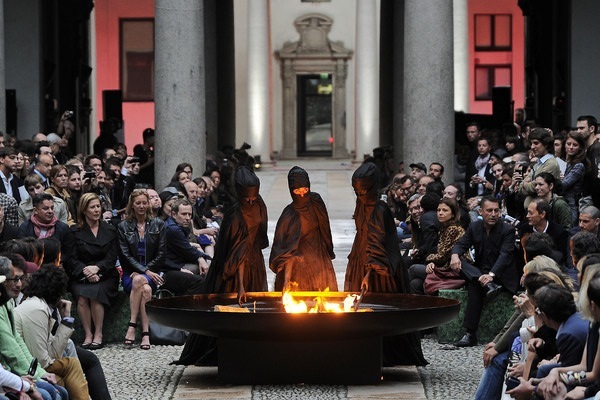 Three ninjas dressed in black dramatically lit a big Olympic Flame at the courtyard of the Palazzo del Senato’s courtyard – it marked the start of the Roberto Cavalli show but also the celebration of his 40th anniversary. 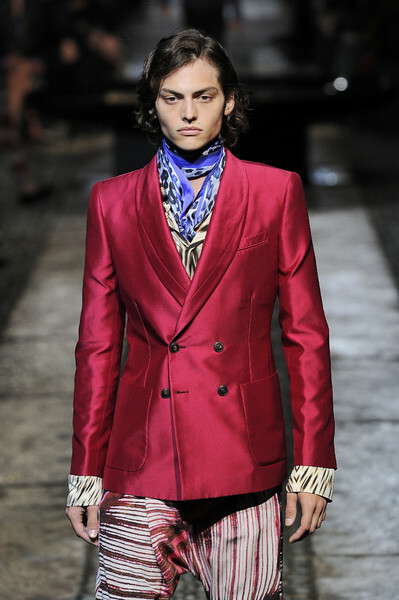 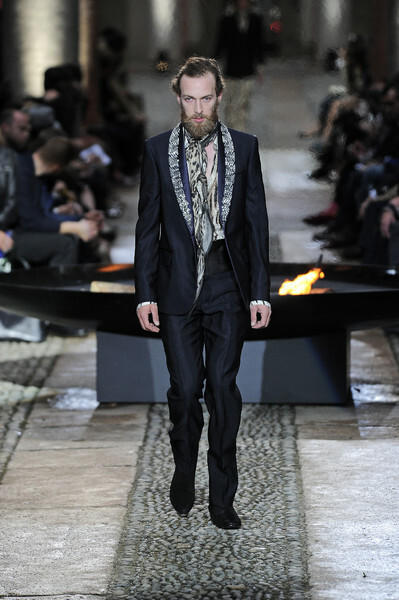 Instead of digging into his heritage of rich hippie westcoast rock-dandy dressing a la Lenny Kravitz (those were the most interesting and exciting collections of Cavalli) the designer got stuck in black/white/blue suits mixed with animalprints at shirts and kerchiefs. 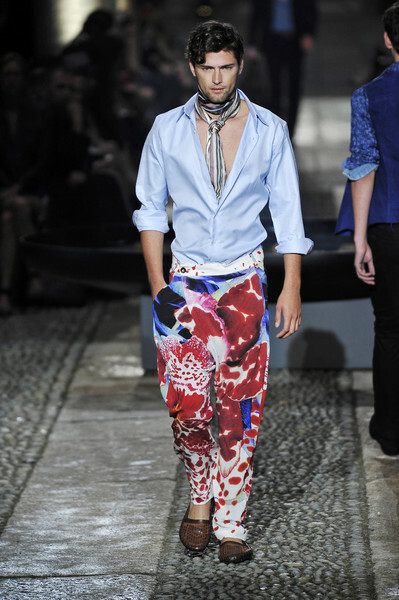 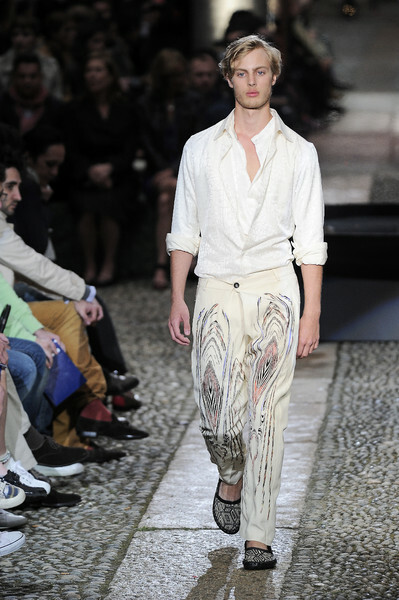 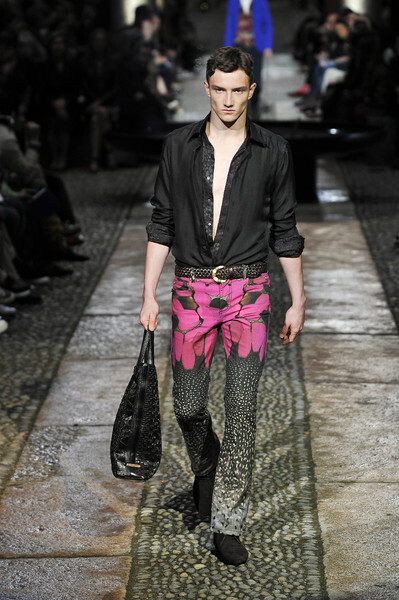 Wild were the pants and shirts with big flowerprints Cavalli saw in Indonesia – but somehow it all looked too uninspired and a bit hurried. 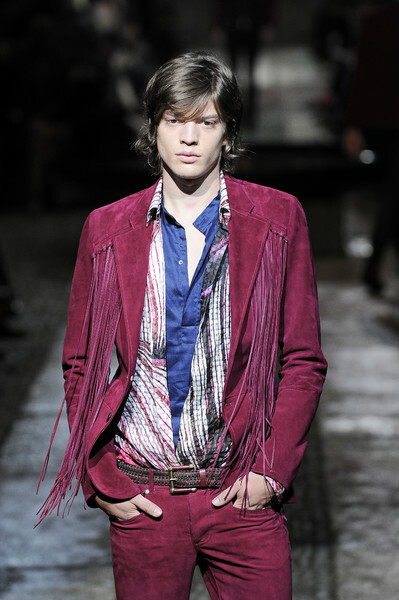 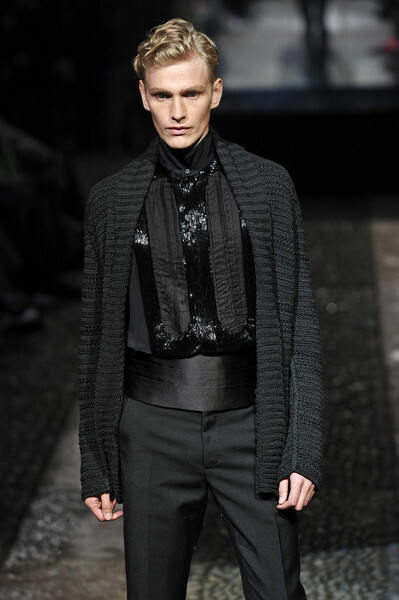 It’s a pity, because men’s fashion can use some spicy stuff.